Every day, we go to work hoping to do two things: share great perfume and help make the world a little better one person and one bottle at a time. It was true when Al Haramain Perfumes started in 1970, and it’s just as true today. In 1970, Kazi Abdul Haque had first traveled to Makkah and smelt the aroma of Oudh. From his first bottle of perfume, Kazi Abdul Haque was drawn into Al Haramain Perfumes and started the perfume trading business. Back then, the company was a couple of stores in Makkah and Madinah. From just those stores, Al Haramain offered some of the world’s finest oudh and perfumes. The name, inspired by the two holiest mosques in those cities, evoked the purity and sanctity of the Islamic tradition. 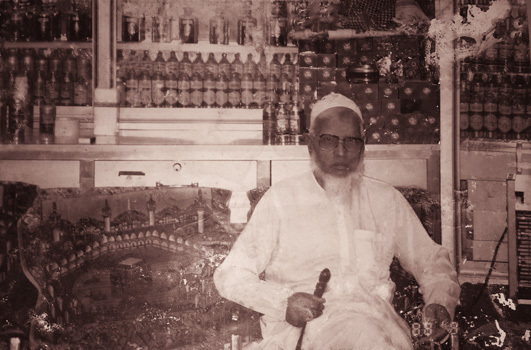 A few years later, one of Kazi Abdul Haque’s eldest sons, Mahtabur Rahman (Nasir), traveled to the distilleries in Ta’if and became captivated with perfumeries and the romance of the perfumer’s experience. He had a vision to bring the rich perfume tradition to the rest of the world. From the beginning, Al Haramain set out to be a different kind of company. One that not only celebrated perfume and its rich traditions, but also inspired and nurtured the human spirit. Today, with almost hundred stores in the gulf, and thousands of stockists, and fans across the globe Al Haramain is the premier producer and retailer of specialty perfume in the world. And with every bottle, we strive to bring both our heritage and an exceptional experience to life.